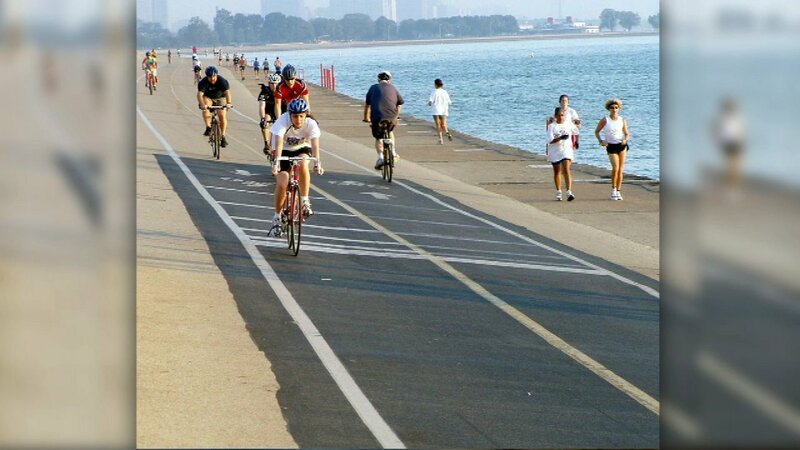 CHICAGO (WLS) -- Work is about to begin to split the Lakefront Trail and the City of Chicago said it's to keep people safe. There will be separate paths for cyclists and pedestrians. Construction officially begins May 22. The trail will stretch from Fullerton Avenue to North Avenue and from Oak Street to Ohio Street. The city hopes to eventually split the paths for all 18 miles of the Lakefront Trail. Mayor Rahm Emanuel said the south end of the trail in Brownsville will open in two months. He also said that on Memorial Weekend, the Theater on the Lake will be open and stay open year road for performances.